After attending to the Instituto de Arte Cinematográfico IDAC, he joins the staff of Artear Canal 13 EL TRECE. Between 1997 y 2013 he moved up to the Directing Dpt. of Pol-Ka Producciones, becoming the Assistant Director of highly regarded PRIME TIME shows such as Verdad Consecuencia, Carola Casini, Gasoleros, Campeones de la Vida, El Sodero de mi Vida, 099 Central, Epitafios (HBO), Locas de Amor y Amas de Casa Desesperadas (Buena Vista International). 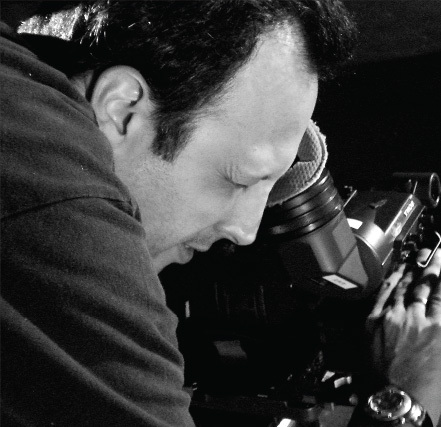 As Director, his credits are the multi-awarded PRIME TIME shows Soy Gitano, Hombres de Honor, Sos mi Vida , Son de Fierro, El Hombre que Volvió de la Muerte, Desperate Housewives Latin America, Enseñame a Vivir, Malparida, Herederos de una Venganza, Lobo, Sos mi Hombre and Farsantes. Followed by Una Vida Posible, Ultimátum and “Cuéntame Cómo Pasó” produced by TV Pública. As screenwriter, his films are Cacería and 24 hs en la City. Television Professional Counselor at DAC DIRECTORES ARGENTINOS CINEMATOGRÁFICOS (GENERAL ASSOCIATION OF FILM & AUDIOVISUALS AUTHORS). 2015 – NON STOP DIGITAL and DTVG Development Dpt. for Drama Projects. Jury member at PREMIOS PLATINO del Cine Iberoamericano – EGEDA since 2016. 2017 – Cuéntame Cómo Pasó (Argentina) (80 episodes) for TV Pública. 2018 developing the new project from The Walt Disney Company Latin America, by Pegsa Group.